Congratulations! You’ve landed a speaking gig at a conference! Now it’s time to prepare. 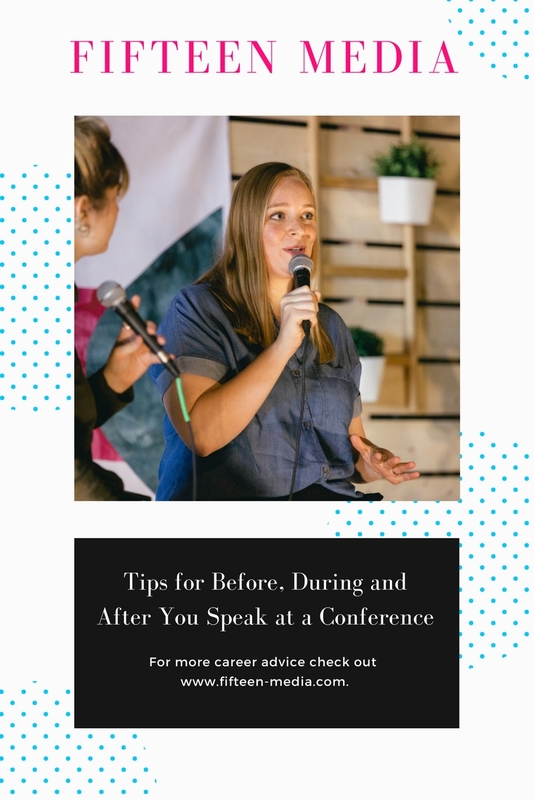 Conferences are different from other speaking gigs because there is so much going on. This is a good thing because it creates a vibrant and rich learning environment, but also presents a challenge. With so much going on how can you make your workshop stand out? Of course, you should put effort into what and how you will present. But there is more. I like to think of preparing for conferences in terms of Before, During and After. Follow these three tips to build an audience and leave an impact. Find people attending the conference on social media and start connecting with them before the event. Interact with them and when it’s relevant mention that you will be speaking. At most conferences, there are a lot of workshop and activities happening at the same time. Conference goers must choose which ones they’ll attend and which ones they’ll skip. If you begin highlighting yourself early, you’ll stand out on the schedule and draw a larger audience. So how do you find the conference goers in the first place? You might be lucky enough to have a list of attendees from the conference. If you’re not given one directly, check their website or ask. If this list doesn’t exist, use the conference hashtag on social media to find people. If you’re proactive before the conference, you’ll be able to get people familiar with you and your content, and hopefully pack the room! One of my favorite parts of speaking at conferences is that I usually get to attend too. I try my best to attend all the events and actively participate. I’ve found two major benefits from this. First, actively participating is a good way to get your name out there during the conference and promote your brand. By actively participating you will naturally meet and build bonds with people. I’ve met people who became significant “small biz besties,” or business friends that actually matter. And along the way, the people you meet are sure to be interested in your presentation. Second, you can learn a lot. Conferences are there to keep you in the know and on the cutting edge of your industry. It’s a great chance to learn and improve yourself. A lot of speakers focus on preparing by thinking exclusively about what they will say DURING their presentation. I think the focus should really be on what happens after the audience leaves. Do they have something memorable and actionable to take home? Create presentations with clear actions items. By “clear” I mean the audience should understand why and how your content can make an impact in their business and life. When I do presentations, I actually want people to use the advice beyond the hour that I am with them. I give people steps to get things done in chronological order. This way, they know where to start and what it should look like when they end. There are really great presentations that certainly put on a good show. But what I have personally found valuable, and what I am told over and over again about my own presentation, is that action items are what really go home and make a difference.